This is Dylan Prentner. Last March he came to my workshop to pick up his new guitar. The photo was taken by his proud parents who joined him. Dylan is a student of Marcus de Jong at Gitaarschool de Gitarist and doing very well. 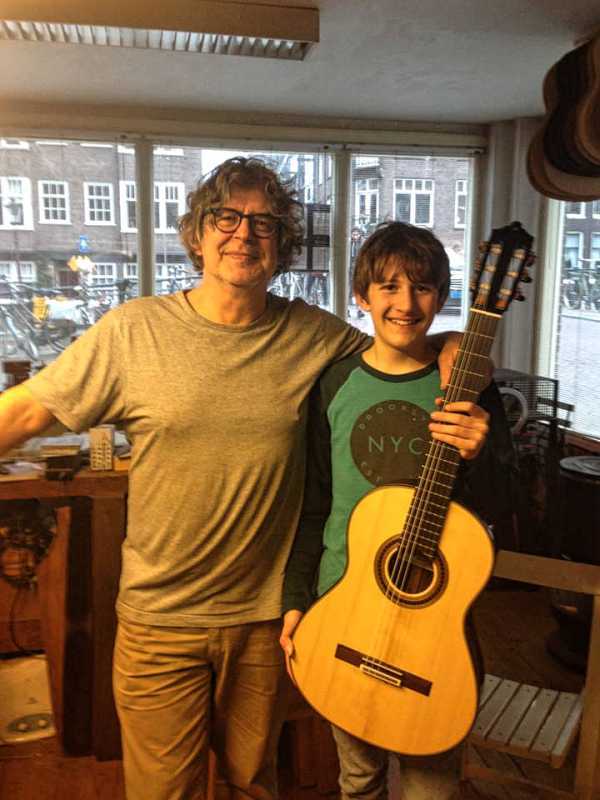 With his new guitar he already won a couple of prices among which the gitaarschool Nederland talent award as well as the first price in his age category of the Antwerpen Gitaarfestival 2016. 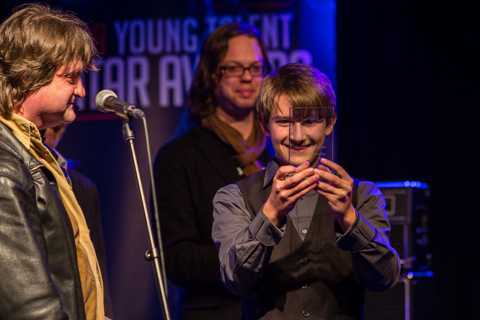 Dylan Prentner wins Gitaarschool Nederland talent award. In this video you can hear him play Nalu, with which he won the price for the best performance of the imposed piece by Johannes Möller.